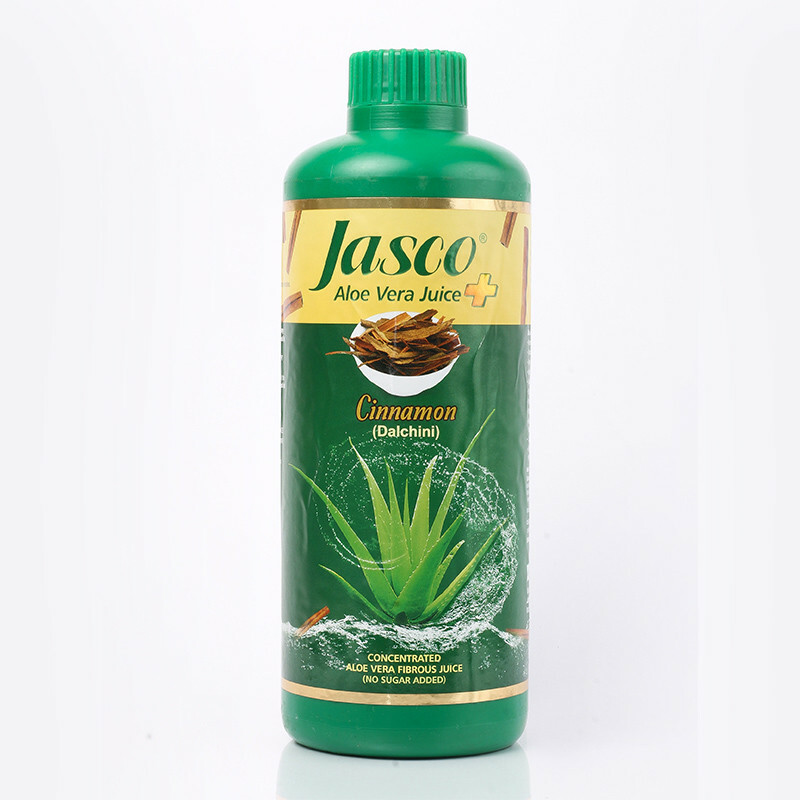 Jasco Aloevera Juice (Cinnamon) is tasty digestive and health food for people of all age groups. 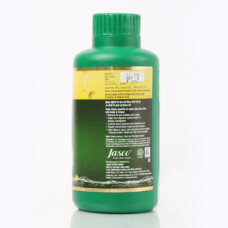 There are many health benefits of its all-natural, herbal ingredients. 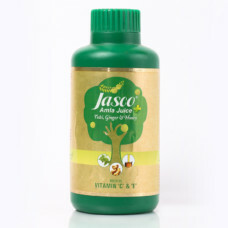 It helps in keeping blood cholesterol levels under control. Your blood pressure will remain within control. 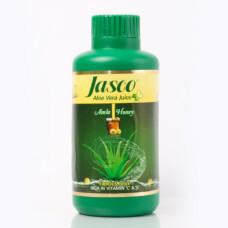 Drinking it daily will also help boost liver function and cure ulcers. 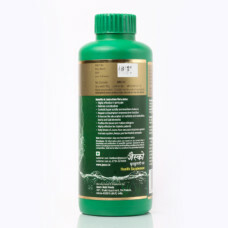 Your digestive system will function effectively and will remain healthy. 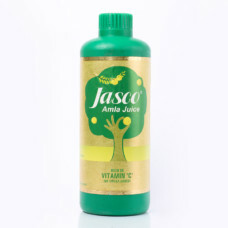 The body’s immunity will improve due to this juice’s natural-antioxidant enhancing powers. 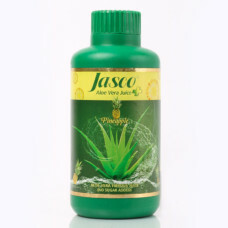 This aloevera juice is rich in vitamins and minerals including vitamin A, B1, B2, B3, B6, B12, C, E, choline, and folic acid. There are dozens of minerals in it including calcium, zinc, magnesium, potassium, sodium, chromium, manganese, and selenium. There are countless health benefits of drinking this juice daily. 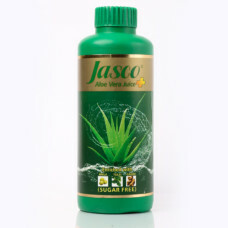 It helps in reducing dental plaque, diseases of the gum, and tooth decay. 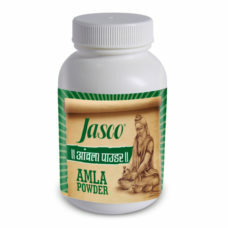 It helps in treating mouth ulcers. 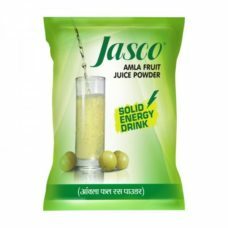 The juice also helps in reducing constipation. Boosting skin health and preventing wrinkles. This Aloevera Juice (Cinnamon) is also an excellent adaptogen that helps your body to adapt to the changes and fight illnesses. 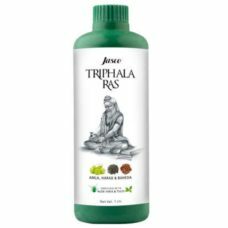 It helps the body in balancing its system, stimulate resistance, and boost immunity. Drinking it regularly will also helps your mind and body in fighting environmental, emotional and physical stress in a better way. Effective in curing diabetes (type II). 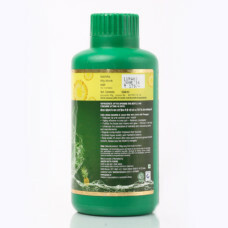 It has antibacterial, antiviral and antifungal properties. 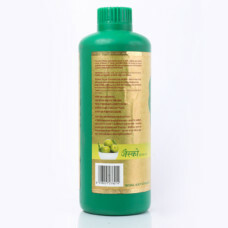 It is also known for its anti-carcinogenic benefits. It has anti-inflammatory benefits and can also improve Parkinson’s and Alzheimer’s.